BAseball Reality Tour: How May We Compare Slash Line Trends? Former Mariners' Prospect, Wladimir Belentien, has been in the news lately for all the wrong reasons. While reviewing historical free agents available this late in the offseason, I stumbled across his Baseball-Reference page. 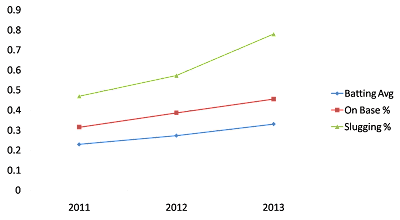 I was pretty shocked to see such a steep increase in the 3-year trend of Belentien's slash lines from Japanese baseball. 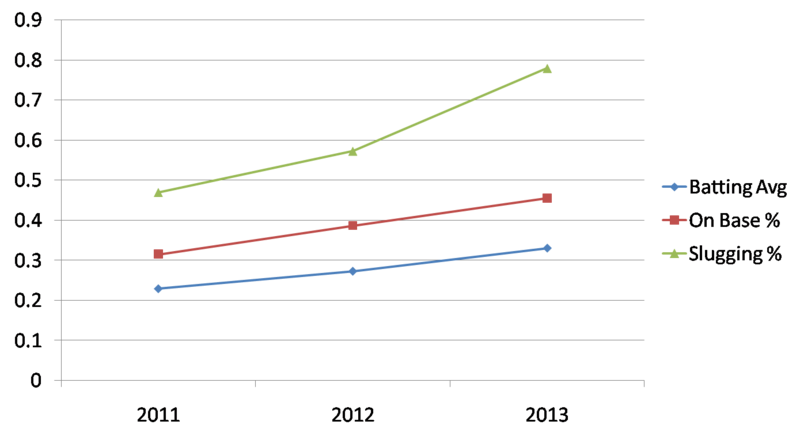 A 44-point increase from 2011 to '12, and a 58-point increase from 2012 to '13 seems pretty rare. How about 72-point increase in On-Base Percentage Year 1 to Year 2 and another 69-points Year 2 to Year 3? I mean a 141-point increase in OBP from Year 1 to Year 3 seems like such an outlier. Yet, it may not even be as rare as his 3-year trend in Slugging Percentage. 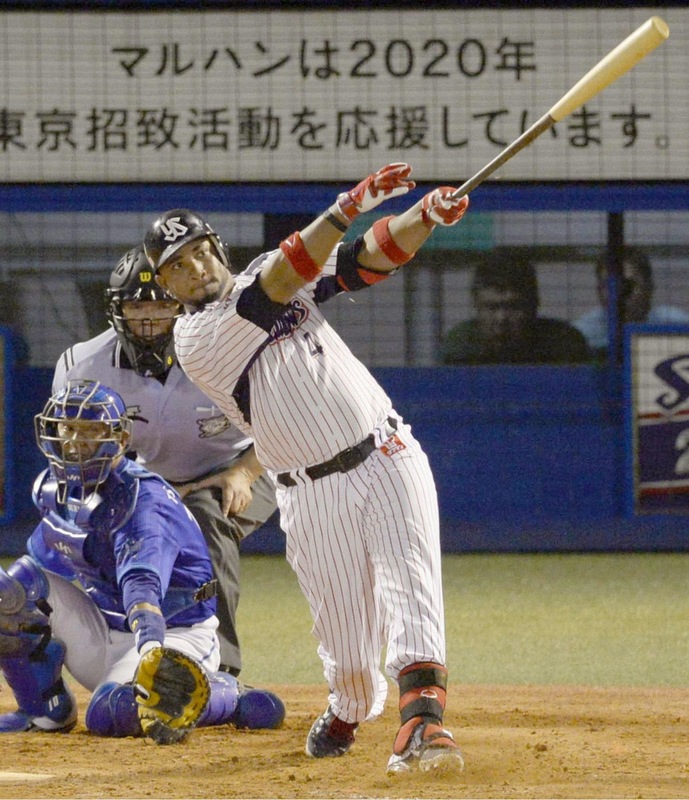 103-points from 2011 to '12 is quite a gap, but from 2012 to '13, Balentien's SLG went up by 207 points, on his way to break the Japanese single-season home run record. How many players, in any league, have steadily improved their batting average by over 100 points in two years? Or, how many hitters have increased their OBP by more than 140 points in two years? In the 310-point difference in slugging percentage the most extreme? Does anyone know if we can compare year-to-year differences on Baseball-Reference Play Index? I wasn't able to figure it out. Well, this is a bummer. I really have no idea how to look into this without falling into an Excel wormhole. Ugh, what a lousy payoff. As a punishment to myself, I won't promote this post with any click bait. Below is a remedial chart for the numbers highlighted above. If anyone knows how to compare year-to-year trends of different players, that would be huge for our comments section. Thanks!